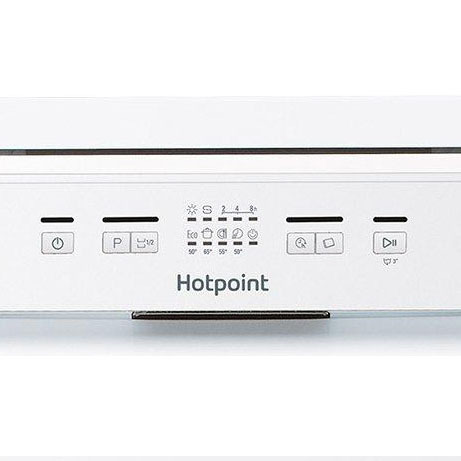 This impressive Hotpoint Dishwasher offers space for cleaning up to 13 place settings, and with 5 wash programmes to choose between you can decide whether you need to Soak, run a Rapid wash or just pop it onto Eco and leave it be. With an A+ energy rating, running costs will be kept nice and low and its clean, modern white finish will fit seamlessly into most kitchens. 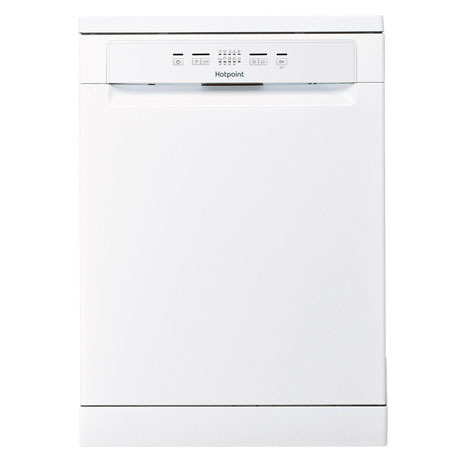 Free up your time for more moments you’ll love with this Hotpoint Aquarius Dishwasher finished in stylish white. Thanks to an adjustable top tray, you can create extra space with ease leaving more room in the lower basket for larger pots and pans. With a capacity that can handle up to 13 place settings, the everyday clean-ups and after-party clear-downs become a breeze and headaches free. 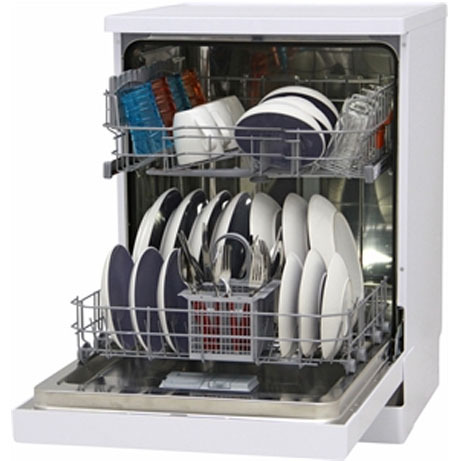 Featuring an 11 litre cycle to efficiently clean your dishes using only the resources necessary to do the job. The LED Interface lets you easily select the best program for your needs, including Rapid, Eco, Soak and Half-Load cycles. Complete with a Stainless Steel Tub for better hygiene, this Hotpoint Aquarius Dishwasher includes a Delay Timer, runs with a Silent motor and comes with an A+ energy rating.